The LS dirt track engines are finally gaining momentum in the dirt world and racers are getting to experience first-hand what we have been talking about since 2011; the power, flatter torque curves, half the cost (in most cases) and lighter all aluminum builds. There are so many bonuses to this engine platform. What would you expect to pay for a 15° aluminum head with light weight 8mm valve stems (for a more stable valve train)? What about an aluminum head a with a 2.160 intake valve that will flow in the 350 cfm range with moderate porting? Or a shaft rocker system? Well, these are all factory pieces with the LS engine and, with minor upgrades, will make a lot of reliable power. The LS cam core was increased from the traditional 1.868” to 2.165. This makes for a much stronger cam when running high pressure springs. It also allows the cam companies to get more aggressive on the cores. With its higher location in the block, a 4” stroke is easily achieved with the stock cam core. In fact, in an LS3 block a 4.125 stroke can be used (although we do not recommend this much stroke in our race engines). The bigger core allows more stable valve action and valve timing from cylinder to cylinder than the small base circle cams used in a traditional small block application with stoker cranks. 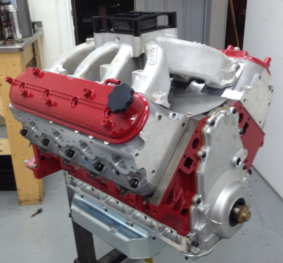 Here at Baldwin Racing Engines, we have continued to build more and more LS engines for multiple classes of racing and offer many options. We have been able to gather valuable information through trial and error to build these engines even better. We can build dry or wet sump, as well as distributor driven ignition along with coil over plug. 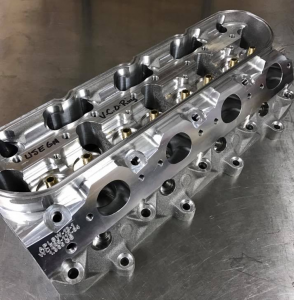 We now have available a stock block that has been lightened, with the addition of our own in-house priority main oiling and lifter housing modifications. It has fixed the oiling issues that these blocks once had. Also, Dart has their LS Next block line that allows us to start with a great after-market foundation. 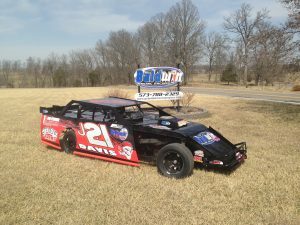 We have had wins in the late model division in 2016 and have multiple customers that will be running in 2017 in the modified division. We are currently in the developmental stages on our LS sprint program. We have been running a 427cuin in our house car since 2014 with a Dart iron block that makes 780hp@6700 and 675ftlbs@4800. Jacob Davis who runs this car, loves the drive that this engine gives him. We also have an additional combo out there with a considerably more aggressive head and compression combo. This consists of a big bore, short stroke set up and it’s making 800+hp@7150 and 650ftlbs@5000. 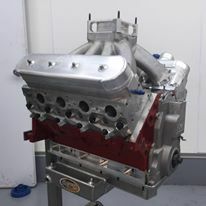 The latest late model engine we have completed weighed in at 355 pounds’ complete carb to pan. It measures 418 cu.in. and produces 803hp@6700 and 725@5350. There is no need to spin 9000rpm. This will help save on parts cost when it comes in for a freshen as well. Thanks to GM for producing such a great platform and the aftermarket working with builders, such as ourselves, it is now possible to build reliable power at a fraction of the cost. 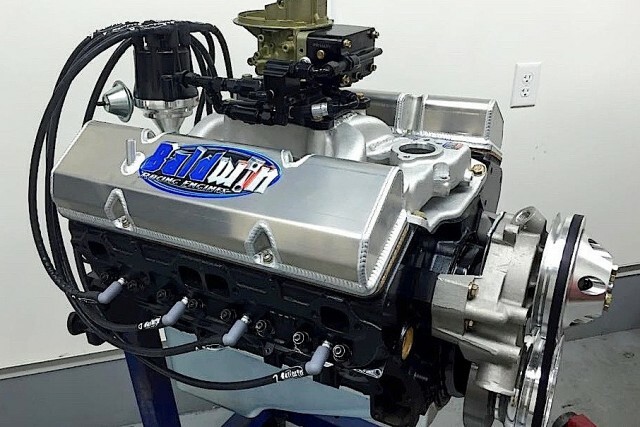 Let’s face it, $40,000 – $50,000 for a competitive race engine just isn’t in most racers budget!